The Committee completed the final leg of a string of engagements with the Department of Water and Sanitation (DWS) today – the final meeting discussed and questioned internal controls and leadership of the Department. The Deputy Minister for Water and Sanitation was present. The Committee emphasised that in the absence of internal controls, the Auditor-General of SA would always make findings such as irregular, fruitless and wasteful expenditure, poor contract management, poor budget and financial management etc – these matters spoke to systems of internal control and are dependent on leadership in the institution. The Committee also stressed that internal audit would only be effective if the Department implemented its recommendations. It is in this context that the Committee engaged the Department. The lead questioning on internal controls probed the functioning of the risk management committee (independence and lines of accountability), composition of the audit committee, control weaknesses and the frustration of the audit committee to secure a meeting with the former Minister, Nomvula Mokonyane. Other questions centered on the existence of an IT steering committee, failure to advertise tenders and the status of implementation of findings of the Auditor-General. The Committee was troubled that the Department has no contract management policy, procedure and, most importantly, no contract management system. The Committee probed the financial recovery plan and turnaround strategy of the Department to address high level financial challenges facing the Department in terms of budget management, absence of capital and operational procurement plans, cash flow management processes, revenue management, inaccurate customer billing information etc. The Committee probed relations between the Department and implementing agents (water boards and water trading entities) – Members were concerned that the water boards were powers unto themselves and stressed the need for structures of oversight on the part of the Department and legislation to regulate relations between the Department and the water boards. This was an area where the Department did not have an adequate system of control which includes proper project management and costing techniques in line with construction norms and standards. There was irregular, fruitless and wasteful expenditure in the implementing agents and the Department, and its audit committee, were instructed to look at its controls in this regard to close the gap between the Department and implementing agents. Dedicated monitoring of implementing agents is required to ensure there is consistency of interaction, reports, standards and procedures – there should be someone fulfilling this role. This is even more important considering that a lot of money went via the water boards. During the meeting Members said it was clear by the file submitted to the Committee today by the audit committee and letters written to the previous Minister Mokonyane, challenges and issues were clearly laid out especially in terms of matters to receive priority attention. What was lacking in the file were responses from the former Minister. It therefore cannot be said that the political leadership was ignorant of the nitty-gritty’s of the financial challenges because the reports of the audit committee are very clear even with regard to specific projects. . It was clear the choice was simply to ignore the findings of the audit committee. There was further discussion of the organogram of the Department – the Committee only recognised an organogram approved by the Department of Public Service and Administration. Members were concerned that many critical officials in the Department were in acting positions – this pointed to instability. They questioned when a permanent Director-General would be appointed. The Committee drove home the point that the process would only work if management took up what the audit committee recommended be done. It was also vital that initiatives not only come from the audit committee as the concern must be seen to be coming from the highest levels of political administration and political leadership. It was noted the series of engagements with the Department had probably only scratched the surface. The Committee said serving the people of the country must be the chief focus of the Department – the focus should not be serving Ministers because political leadership comes and goes. The Chairperson noted that it has been a long week for the Committee and the Department of Water Affairs and Sanitation (DWS) but this is the last lap. Since last week, many matters have been covered between the Committee and the Department but there are two areas which would always be critical – leadership and internal controls. In the absence of internal controls, the Auditor-General of SA (AG) would always make findings such as irregular, fruitless and wasteful expenditure, poor contract management, poor budget and financial management etc – these matters spoke to systems of internal control and are dependent on leadership in the institution. Internal controls or the internal audit unit cannot strengthen itself – it depends on the capacity and space given to them by management. The work of internal audit is not for itself – if leadership did not respond to the findings and advice of internal audit, the unit would be of no use. Internal control acted as a mirror for management – even if the mirror was broken, it would not change the way management looked. It is in this context that the Committee is now finally meeting with the Department’s leadership and internal control. Mr D Ross (DA) said it was important to deal with the area of accountability to perhaps turn the tide on the misappropriation of public funds and to transform the Department into an effective one to meet service delivery requirements. Over the past few days of interrogating the Department, the Committee has experienced some lowlights but he hoped there would be highlights today. Perusing through the documents last night, he was pleased to see that the Department still had some strengths in terms of a current functional audit committee and positive interaction between the Director-General (DG) and audit committee, which, if he understood it correctly, is an encouraging good sign. With thorough interrogation today, he hoped the effectiveness of the audit committee could be improved to give stimulus to the Department achieving its objectives. Mr Ross asked if the risk management committee operated separately from the audit committee. Mr Japie du Plessis, Chairperson of the Internal Audit Committee, DWS, said the risk management committee did operate separately. The Department is in the process of appointing an independent chairperson for the committee. The report of the chairperson of the risk committee is also submitted to the audit committee for the audit committee to discuss risks identified by the risk committee. Mr Ross asked if the risk committee reported directly to the audit committee or the DG. Mr du Plessis responded that the risk committee reported directly to the DG – the audit committee just gets to see and discuss the report of the risk committee submitted to the DG. Mr Ross asked if the audit committee responded to the Minister as it had to assure its findings are independent. Mr du Plessis said this is correct – external members of the audit committee are appointed by the Minister and provides a quarterly report to the Minister in which the DG is cc’d as the DG is also part of the audit committee’s quarterly meetings. Mr Ross questioned how many members currently serve on the audit committee against the objective of the required amount of members to be serving the committee. Mr du Plessis answered that the audit committee was appointed in April 2016 for a term of three years so the contract would end at the end of March 2019. There are three members in the committee but currently only two external members are serving as one member resigned in July 2018. Mr Ross asked if this meant there needs to be appointment of another member to enhance the situation. Mr du Plessis said the existing member served six years and according to the King Report, a member of the audit committee can only serve two three-year terms. This means at least two new members must be appointed. Mr Ross noted the Department incurred a qualified audit opinion mainly due to unauthorised, irregular, fruitless and wasteful expenditure as well lack of completeness of performance information. It is clear the audit committee report showed several meetings were held with the DG to discuss concerns of the audit committee– this is encouraging. The reality is that the financial health of the Department is concerning – irregular expenditure of R6 billion has been accumulated, R1.4 billion in the last calendar year, R8 billion of accruals, very little infrastructure development and serious allegations of corruption. While a daunting task, interaction with the Department is critical for its performance. He asked the DG what the control weaknesses were, which were discussed with the audit committee. Has the need for strengthening internal controls been discussed also with the Minister? Did these controls include the systems and whether there was a contract management register, for example? How many investigations were done? In which projects were officials implicated? The Member wanted to get a sense of what was discussed with the audit committee. Ms Deborah Mochotlhi, Acting DG, DWS, responded that in her very first meeting with the audit committee, as Acting DG, it expressed concern that it was trying to meet with the Minister over some time without success. She facilitated the meeting with the Minister and the audit committee – the committee took the Minister through its concerns. Subsequently, there have been frequent meetings even outside of the scheduled audit committee meetings – concerns raised and progress made were discussed at these meetings. One of the concerns of the audit committee which was discussed was that management was not doing enough in addressing internal audit findings which rendered the internal audit function as somewhat redundant. The audit committee was motivated that the Acting DG went through its report. An action plan of the findings of internal audit was developed and is being monitored. The audit committee checked the effectiveness of the action plan and if the plans management has in place would actually address the findings. These are some of the matters discussed. In terms of risk, there is a risk chief directorate in the Department to identify strategic risks and monitor implementation thereof. There was concern the Department was not doing enough so it was engaged. There is now an understanding that if the Department addressed the risk, there must be assessment if the risk rating must be lowered or not. The report of the risk committee is discussed in the audit committee for it to make input. An independent risk committee chairperson has been appointed – he would start in January. The Department is doing its best in this regard. Mr Ross thought there is sincere commitment by the DG to interact with the audit and risk committee – this is encouraging. The Committee dealt with many entities and departments where this collaboration is absent. He asked if the audit committee had the file of its meeting minutes as he requested. Mr du Plessis handed the file over to the Chairperson. Mr Ross asked if the minutes displayed the audit committee’s frustration in trying to secure a meeting with the Minister. Was this Minister in question the former DWS Minister, Ms Nomvula Mokonyane? How frequently did these meetings take place? The Member wanted to establish the nature of the interaction between the audit committee and Minister. Mr du Plessis said each quarter, a report is submitted to the Minister from the audit committee. The first report of the audit committee was submitted in September 2016 to Minister Mokonyane but there was never a meeting between the Minister and the audit committee. Mr Ross asked if the audit committee had meetings with the current Minister. Mr du Plessis said the first meeting between the audit committee and current Minister was on 1 June 2018. There was another meeting after the first quarter report. This means there has already been two meetings with the current Minister. Mr Ross asked what the main matters were in discussions on control weaknesses in the audit committee – did this refer to prevention of irregular, unauthorised, fruitless and wasteful expenditure? What is the trend in the Department currently to address the scourge which could possibly lead to corruption? Mr du Plessis replied that when the current audit committee was appointed in April 2016, there was a huge backlog on non-investigated irregular expenditure. The audit committee felt irregular expenditure must be investigated as soon as it was identified and placed on the irregular expenditure register. If the investigation signalled irregular expenditure, the matter would be displayed as such on the financial statements. If the expenditure was not at that stage, it would remain as irregular expenditure under investigation. At this stage, the Department lags behind in the investigation of irregular expenditure. The Accounting Officer must implement controls to indicate how she/he would prevent irregular expenditure in future. The audit committee looks at the action plans both from the findings of external and internal audit – before 2017/18, these action plans were really not up to standard – this resulted in reoccurrence of findings from the previous year. Mr Ross thought controls were key to the success of the Department. He asked if there was an IT steering committee and at what state it is in terms of the Department’s IT systems. Is this a deficiency in controls? Ms Mochotlhi said the steering committee is not functioning properly and it is one of the areas the Department sought to correct. Mr Ross asked if the Department engaged SITA on the matter of IT controls. What steps were taken in this regard? Has the matter been flagged with the audit committee? Ms Mochotlhi replied that the new CIO has been engaging SITA on the matter. The DDG: Corporate Services has been tasked with ensuring the standing committee sits and does it job. This is one of the corrective measures the Department is putting in place. Mr Ross said it would be key for the Committee to monitor the situation and progress made in this regard. If not, there would be weakness in the supply chain management of contracts etc. This is of serious concern to the Committee along with consequence management. Turning to the findings of the AG, these concern the systems of the Department mainly in regard to projects on regional bulk infrastructure and water infrastructure grants – the recommendation is that management start using LOGIS to implement the commitment and schedules and not pay through sundries. What is the status of implementation of these recommendations? The manual system currently cannot be used for additional mitigating controls. This is an indictment on the Department which is so large and critical for service delivery. Looking at misdirected initiatives, controls are needed. The AG recommendations are critical for the success of the Department – have the findings been seen by the DG and audit committee? Mr du Plessis explained the Department takes the findings of the AG and then draws up an action plan to submit to the audit committee. The committee would assess if the Department identified the root cause directly, if the implementation plans would address the root cause and ensure there is no reoccurrence. The audit committee has looked at the action plan – while it was an improvement from the previous financial year, the committee was not 100% happy. The Accounting Officer and the team were asked to go back and relook the root causes and action plan for implementation. Mr Ross asked if a functional ICT steering committee was critical to address the problem to ensure there was implementation of controls in the Department. What is the status of the actual implementation? What progress has been made in terms of ICT steering committee? The Acting Chief Risk Officer of the Department said the ICT steering committee does exist and is functional. It has however been on the risk register for many years but management has committed to ensuring the steering committee is functional and the DG: Corporate Services has been instructed to do so. The functionality of the steering committee would be reported back to the audit committee. Mr Ross said this is important. He asked if there is a contract management committee. The Acting Chief Risk Officer replied that this is one of the big risks in the Department. The risk register showed there was non-compliance with National Treasury’s framework on contract management as the Department did not have the contract management policy, procedure and contract management committee – this has however been highlighted on the risk register and management has committed itself to addressing these matters as soon as possible. Mr Ross said it is important to state for the record that the Department has no contract management policy, procedure and, most importantly, no contract management system. Some directives were given by the Minister in the past on some projects which led to huge irregular expenditure – is this the risk? To whom were the recommendations made regarding remedial action? The Acting Chief Risk Officer said that in his engagement with the Acting CFO, it was indicated there is a draft contract management protocol which still needs to be taken through the correct processes of approval. The contract management system is a manual one. It is recommended a system be put in place which categorises all types of contracts. The Acting CFO has committed that the Department will procure this type of system going forward. Mr Ross asked if the DG was aware of the lack of policies, systems and procedures in terms of contract management and what her views are on this. Ms Mochotlhi did not want to respond in generic terms. She indicated the Acting Chief Director for Risk was instructed to draw up a plan on how risks in the Department would be dealt with in terms of policies. Some work has been done around this internal control. There was the recent appointment of a project management committee to assist with the reprioritisation of projects to ensure projects are running as expected and to raise alarms to management (including the DG) when there are problems. An ethics policy was established. There was work on a contract review process. There is a plan to which the Department is working according to to improve the situation of risk and internal controls. Mr Ross saw that there is a concerted effort in regard to supply chain management. He asked the risk committee if failing to advertise tenders is currently the situation in the Department. The Acting Chief Risk Officer said it was not failure to advertise tenders – due to financial constraints faced, contract review is underway. The preliminary report informs management of which contracts should be suspended and which can be renewed. Financial constraints affected the advertisement of tenders so it was not failure, in that sense. Management has prioritised which tenders can be advertised. Management has recently appointed a departmental bid adjudication committee to oversee the bids. Mr Ross understood the huge risks in that regard. He asked for the view on the high level financial challenges facing the Department in terms of budget management, absence of capital and operational procurement plans, cash flow management processes, revenue management, inaccurate customer billing information etc – these are huge challenges in the Department but have they been flagged? The Acting Chief Risk Officer replied that these matters have been flagged and the CFO was requested to review the cash flow management plan to ensure there is a dedicated committee to assist in the monitoring of the cash flow management plan. Mr Ross questioned the progress made on the turnaround strategy and financial recovery plan. Will a finalised version of the plan be submitted to SCOPA? Ms Mochotlhi said the financial recovery plan was not included in the pack of document provided to the Committee because it does not yet have the Minister’s signature. The intention was that the task team develops the recovery plan, it be discussed with the DG of National Treasury and Ministers of Finance and DWS - only once these processes have taken place can the plan be made available. The recovery plan includes prioritisation of the current budget under high demands on the Department. The plan also looks at which control measures to put in place to ensure the Department gets out of its current situation. There is a lot happening in this regard but turnaround takes time and is dependent on the buy-in from everyone in the Department. The Department is fully aware and alive to the fact that South Africans, and government, depend on DWS as water is life and sanitation is dignity. Additionally, water is needed for basic human needs and economic development – for the Department to fail means the SA economy will be failed. The Department is doing its best to ensure it does not let the country down. Even though human beings make mistakes, the commitment should not be doubted. The Chairperson thought the mistakes in the Department were not normal human error insofar as the work of the Committee is concerned i.e. financial management, contract management etc. Mr Ross agreed. He then highlighted the findings of the AG in relation to implementing agents – the AG found the Department, once again, did not have an adequate system of control which includes proper project management and costing techniques in line with construction norms and standards. Hopefully the Department will have its coordinated meetings to address these challenges. It is concerning that the AG found fruitless and wasteful expenditure is understated and one does not know the extent of the rot in the Department. On irregular expenditure, the AG found the systems of control in the Department are inadequate. With the Water Trading Entity (WTE), property plant and equipment, the AG found he was unable to obtain sufficient and appropriate audit evidence for the carrying amount for the asset under construction. What is the position of management in the WTE? Mr Du Plessis said the information the audit committee got during the first quarter is that the entity is still in the process of fixing the queries on the assets so feedback cannot be provided on the current status as the second quarter meeting was not yet held. Mr Ross emphasised that a lot of attention must be given to the findings of the AGSA on the WTE – significant findings are made on the property plant and equipment and fruitless and wasteful expenditure. He urged the audit committee to discuss this with the DG. Ensuring effective internal controls are implemented spoke to stability in leadership – there was a huge void in the Department but he saw the intention to step up to the challenge. Interaction between the DG and audit and risk committees is critical in this regard. Mr Ross then asked if the position of Chief Audit Officer has been filled. Mr du Plessis answered that the position of Chief Audit Executive has been filled since 1 January 2018. The Chief Audit Executive clarified the file handed to the Committee today contained the audit committee’s summaries, drafted by the audit committee chair, and audit reports for 2015/16 and 2016/17, as requested. The internal audit team has done quite a comprehensive review of some key challenges in the Department regarding the regional bulk infrastructure grant and accruals in all nine provinces. Significant control weaknesses were brought to the attention of management and were included in the internal audit action plans, which are also followed up on a quarterly basis. Some weaknesses included inadequate transfer of commitment amounts, inadequate guidelines and accounting conversion treatments (policies and procedures to be refined), problems with 30-day payments, problems with work in progress and updating of assets. There are plans to align the efforts of the Department with the overall dashboard of the AG. One of the key matters is leadership and stability thereof. Looking at the matter of acting positions in the Department would also enhance decision making on key implementation plans. Internal audit has also looked at financial and non-financial performance information through quarterly reviews and financial statements. Implementation of some of the audit findings could have been impacted by finalisation of the annual financial statements later than 31 May but there was extensive engagement with management as it is important that the document contains accurate information to ensure there is no malicious compliance. There has been discussion with the AG for submission at a later stage – this was done during July. In audits of previous years, there was disagreement between the AG and Department on certain aspects of the audit but this year, management was pleased to say there was no disagreement. Findings identified by the AG are already being worked on. There is conducive engagement with the AG. All audit reports are made available from the side of internal audit. There is an IT audit section whereby the system will be reviewed and control weaknesses can be identified through data analytics. The use of sundry payments is a critical area being addressed by management to institute adequate controls to avoid duplicate payments – there must be an indication of what was paid vs. what is delivered. This would assist the monitoring and evaluation unit of the Department to assess whether there is value for money. Management is also in the process of instituting the combined assurance model. The Chairperson outlined that the Committee has established the presence of the audit committee, internal audit and risk committee. It is the ICT structure that is dysfunctional. Essentially all these structures only have meaning if management implemented its recommendations. Mr Ross asked whether the matters highlighted, especially risks, would be addressed and implemented by the finance component. Will it accept the recommendations? Ms Mochotlhi said the finance component has no choice but to accept the recommendations – this applied to the entire Department. Mr Ross asked if the organogram was approved by the Department of Public Service and Administration (DPSA). Does the Department have an organogram? Ms Mochotlhi answered that the organogram was approved in 2014. The Department is working on an interim organisational structure which the current Minister has introduced. The Department is working with DPSA on this structure. National Treasury has also been informed of the structure but the budget structure is not aligned to that structure as it must be finalised with DPSA first before it can be accepted. Mr Ross asked if she was aware the budget structure was changed in 2016 and asked if there is a reason why the structure then needs to be changed again. The Chairperson cautioned against discussion of the organogram and budget structure because DPSA has rejected the proposal so there cannot be an interim organogram which has not been approved. Treasury has correctly instructed the Department to get the approval from DPSA. It is not of any worth for the Committee to then discuss it. Mr Ross noted improvements in the Department in terms of critical institutions which need to conduct oversight and enhance better implementation of financial controls management. He asked if the audit committee was aware of all the “elephants in the room” regarding the Special Investigating Unit (SIU) and where consequences were still needed with regard to a number of unplanned projects – what should the function of the audit committee be in this regard? What would the recommendations of the audit committee be? Mr du Plessis said the audit committee is not aware of all investigations done outside the Department by the SIU, Hawks etc. There was a request to submit all information relating to these investigations done over the last year or so to the audit committee. The Acting DG endeavoured to provide this information at the next audit committee meeting which should have been in November but would now only take place in January. The audit committee heard about these investigations in the media. Mr Ross clarified his question was about the directives of the Minister to the water boards and engagement at that level. Looking at the oversight of the audit committee over those water boards, what would the role of the committee be if it picked up on voids in accountability? Has the committee interacted with the water boards? Mr Du Plessis explained that when looking at irregular, fruitless and wasteful expenditure, the majority is incurred by implementing agents, including water boards. For the first time, in February, he arranged a meeting with chairpersons of all water boards to meet on irregular, fruitless and wasteful expenditure incurred by the implementing agents, the water boards, as the audit committee did not accept that the water boards incurred irregular, fruitless and wasteful expenditure on behalf of the Department. It then became the responsibility of the Department to explain this irregular, fruitless and wasteful expenditure to Parliament. Mr Ross was happy with the proactive step taken by the audit committee to assist the DG in this regard. He asked what the view of the DG was on these actions. Ms Mochotlhi answered that the initiative by the audit committee was very much welcomed by the Department. The Acting CFO was part of these meetings. A circular was sent to the water boards outlining what is expected of them – the broad contents of this was discussed in the meeting and it was hoped the initiative bears fruit. Mr Ross concluded his part of the questioning. The Chairperson reiterated that the process would only work if management took up what the audit committee recommended be done. Looking at the file submitted to the Committee today and letters written to previous Minister Mokonyane, challenges and issues were clearly laid out especially in terms of matters to receive priority attention. What was lacking in the file were responses from the former Minister – were there ever responses? Mr du Plessis said there were no responses from the previous Minister. After the last meeting with the audit committee, the current Minister gave the DG a written instruction to address the findings and report back to the Minister. Definite actions are taken by the current Minister to reports of the audit committee. The Chairperson said it therefore could not be said that the political leadership was ignorant of the nitty-gritty’s of the financial challenges because the reports of the audit committee are very clear even with regard to specific projects such as bucket eradication. It is clear the choice was simply to ignore findings of the audit committee. These initiatives could not only come from the audit committee – the concern must be seen to be coming from the highest levels of political administration and political leadership. Dedicated monitoring of implementing agents is required to ensure there is consistency of interaction, reports, standards and procedures – there should be someone fulfilling this role. The Chairperson emphasised this is one of the most critical areas for the Department to look at. He also stressed the importance of management and internal audit working together to ensure management acted on the reports of internal audit – the audit committee is only effective if management and political leadership responds to its findings. Mr E Kekana (ANC) was under the impression that the water boards seem to be doing as they wish. Are the boards properly constituted? What is the relationship between the implementing agents and leadership? There seemed to be a gap between the two. Some of the CEOs of the water boards seemed to be doing their own thing without accounting to leadership. Are there checks and balances on the water boards? Ms N Khunou (ANC) emphasised that the Department must keep track of internal audit. Internal audit helps the Department keep track of problems and informs the Department of problems within the system right on time before anything happens. Many internal audit units complained that management never listens. It is very important that internal audit is supported along with risk management – without this, the Department would land up in the Intensive Care Unit (ICU) as it is now. The reports of internal audit must be looked at on a quarterly basis – there should be an umbrella body looking at this until the Department is on track. The Committee could play a role in this. The Chairperson questioned interaction with the water boards. There must be a system of accountability because a lot of money went via the water boards – this money trail must be followed. Ms Mochotlhi responded that each water board has its own board – the board is the accounting authority. In terms of the relationship between the water boards and the Department, the Minister meets with the chairpersons of the boards at least twice a year. The current Minister has established a national joint technical committee for the DG and CEOs of the water boards. The structure is newly established however in the past there were meetings between the DG and CEOs of the water boards. It is critical to strengthen the relationship so that the Annual Performance Plans (APPs) of the water boards spoke to the APP of the Department – the boards are extensions of the Department. There is a lower structure the Minister has established in the provinces with the water boards and MECs and Heads of Department for the provincial departments of Cooperative Governance and Traditional Affairs (COGTA) – the Minister has written to the Premiers. This provincial structure is to ensure provinces are aware of water and sanitation matters in the provinces and jointly work towards a plan of prioritising projects in the province so that no one in the province could plead ignorance. Prior to this, provincial authorities were taking a backseat and situations would return once the Department has completed its intervention if there was a problem in the province. The technical committee seeks to change this. The Chairperson said the interest of the Committee is how there would be strengthening and assurance that monies sent for projects are managed properly. Water boards could not use these structures to merely report what they were doing because this would not change anything and would maintain the status quo around regular expenditure etc. Ms Khunou said that even though there was the provincial structure, there still needs to be someone from within DWS that oversees the water entities. The Acting Chief Risk Officer replied that this risk has been identified and there would be engagement with top management. There should be an oversight committee that plays an oversight role over all entities – this appears in the risk register and recommendations on members for the committee have been made. Mr Kekana asked if the structures the Acting DG referred to were institutionalised or simply an ad hoc arrangement that changes from Minister to Minister. Ms Mochotlhi said she would not call the structure an ad hoc one because she saw that it is being welcomed by the Premiers. It is also formal as the Minister has written to the Premiers. She was open to any further guidance or advice around such structures. She noted the importance of ensuring these structures followed up on budgetary performance. The structure also seeks to ensure there is accountability. The inputs made by Members would assist in ensuring structures were further strengthened and outlives even the current Minister. Mr du Plessis added that during the last meeting in November of the audit committee and water boards, he was disappointed to hear that when the AG went to the water boards to request documentation, the AG was told to ask the board for the documents. A decision was then taken that the documents must be supplied if a contract was done on behalf of the Department. The recommendation was that if there was no compliance, the matter would be sent to the DG and Minister to intervene because it seemed that some of the boards simply did not want to cooperate. The other suggestion from the audit committee was that if the water boards discussed tenders to be issued, a senior departmental official from supply chain management must be present to sit on the bid adjudication committee for the contract. Hopefully the Department would follow up on this suggestion. 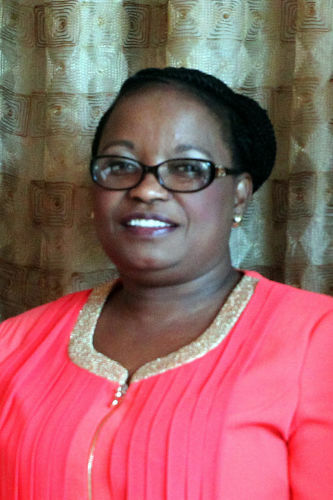 Ms Khunou noted that when the Committee met last year with former Minister Mokonyane, it was said the legislation governing water boards was perhaps outdated and allowed for the boards to operate on their own. It is important that legislation speaks to the regulation of water boards and interlinked with other legislation in the country – this is a loophole. Parliament has the responsibility of amending legislation. The Chairperson agreed with this important point – legislative impediments must be amended. A report on whether such impediment existed or not should be compiled and sent to the Committee. Mr Kekana thought it would have helped if the Minister was present. There is instability at the top where almost everyone is in an acting position – political leadership needed to indicate when permanent appointments would be made. When would the organisation be stabilised at the top to ensure stability of leadership? There are problems associated with acting positions such as lack of respect from peers. The Chairperson agreed this ideally must be discussed with the political leadership as the DG does not appoint herself. Looking at the file provided to the Committee today, for the past six financial years, the DDGs have remained the same so there has been consistency at that level for quite some time. These DDGs oversee specific projects and programmes. Mr N Booi (ANC) asked that Mr Kekana be allowed to continue with his line of questioning so that there was frank discussion. He asked where the audit committee was all these years as the Department deteriorated to this level. Ms Pam Tshwete, Deputy Minister of Water and Sanitation, noted that the Minister found the majority of officials in acting positions – the Minister started in April 2018 so it was very difficult for the Minister. The Minister reported to the President that there was no stability in the Department. The Minister asked the office of the presidency about the arrangement for a DG but the Minister was still awaiting this. The CFO is also in an acting position. The former Minister also did not have a fulltime DG – two DGs resigned. She promised Members that Minister Nkwinti is working on the matter as it was concerning especially with the position of DG. She promised that the Minister would come up with a better solution as he was currently working on it. Mr Kekana had an offline discussion with the Minister on this matter where it was also indicated the President appoints DGs – the Minister requested the Committee put pressure on the President to make this appointment. The Member was not sure if the Committee had this power – the matter has now however been put out there. The Member did not understand how the Department had an acting CFO but also a deputy CFO. The Department is bleeding in terms of finances so what is the role of the deputy CFO? The Member asked the acting DG if she usually has monthly meetings with her team. Ms Mochotlhi confirmed there are top management meetings almost weekly along with top management operational meetings. She indicated that most of the time the meetings were used to prepare for presentations before Parliament instead of dealing with strategic matters of the Department. With the current status of the Department, it requires a leader be present to constantly follow up what was agreed to in top management – this would ordinarily be the case but it was currently very weak. Additionally, because of the financial situation of the Department, there are a high number of meetings to be held with stakeholders on project management, contractors not paid, legal disputes etc - there is an increased workload on top of being called by the Committee because of the state of the Department. All these matters have an impact. Mr Kekana asked if there is a plan because what has just been sketched is crisis management – as the head, the DG needs to have a plan and direction in which the Department would be taken. Ms Mochotlhi replied that there is a plan including the financial recovery plan – what was heard from the audit committee, internal committee and risk showed there is prioritisation of this plan. If these structures were not followed up on to ensure their recommendations were implemented, there is going to be a problem. There is however a plan. The agenda of top management has also been changed to include seeing flags before they became fires. It is unfortunate that most of top management’s meetings are usurped by preparing for parliamentary meetings. She emphasised there is a plan, commitment and concerted effort to turn the Department around. Mr Kekana questioned the rationale behind the appointment of a deputy CFO. To him, this position did not make sense. Ms Mochotlhi was not aware of a deputy CFO - the Department has one acting CFO. With the interim structure, the Minister said the Department cannot have two CFOs. The 2014 structure had two CFOs – one for the main account and the other for the WTE. As far as she knew there is no deputy CFO. Mr Kekana pointed out that from the Department’s records, it appeared as if there is a deputy CFO. Ms Mochotlhi thought this might be a mistake. Mr Kekana said the role of monitoring and evaluation is created under the interim yet not approved structure. Ms Mochotlhi indicated that a question was posed yesterday on how the structure of the Department was reached – she reiterated the Department is not a new one so there was restructuring. Sometimes there is not an entire restructuring of the Department. When needs were identified, units would be structured to fulfil those needs. The need for monitoring and evaluation has been established – most of the comments of the Committee about ensuring value for money shows this unit is needed. The unit was placed under the branch of planning and information – this branch is under the approved structure. This branch concerned planning of infrastructure and not corporate planning and information on water and sanitation not information in relation to knowledge management. This is what led to the name change of the branch under the interim organisational structure from planning and information to planning, monitoring and evaluation. The Department cannot move without the approval of DPSA – what the Department would then do is establish an additional directorate to perform this very important, much needed function of monitoring and evaluation of projects in the Department. She admitted that in most of the water boards there was no value for money, contracts can be varied without approval and other such things. The monitoring and evaluation unit would be established in the new structure – hopefully DPSA would approve of it because it is needed. The Chairperson suggested giving additional responsibility to an already established structure was the best route to go because the structure would already be there under the approved organogram. He thought the changing of names of directorates is also allowed. He was impressed with the thoroughness with which DPSA responded to each point under the changing of the structure/organogram. Mr Kekana, much as he agreed there was instability at the top, thought better planning is required for the DG to drive the organisation. Over the days of interaction with the Department, he picked up there was no planning. The DG said there was a lack of planning because the Department was always called before Parliament – he thought this was unacceptable. He pleaded with the Department to have a plan. There currently is no Department because there is no leader. It seemed as if the Department is a free-for-all. There must be a plan which sketched out when top management would meet and this should be made known to Parliament. He saw that officials were doing as they wished in the Department. The Chairperson cautioned the Member as next time the Department would be called, it would indicate it has a management meeting. Mr Kekana clarified that his emphasis was on top management having a plan. He also emphasised the need for follow up on matters as this was currently lacking. 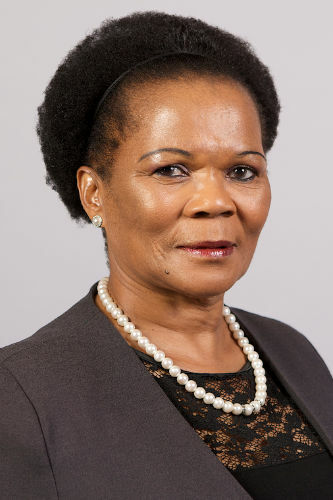 Deputy Minister Tshwete supported the Acting DG in terms of the days top management spent in Cape Town rather than at the office – throughout the year, the Department has been called to Cape Town from Tuesday up until Thursday. The office of the Chief Whip must look into this also because of budgetary implications of flights and accommodation. Treasury could inform the Committee of money used for the Department to appear before Committees. Top management did not have time to do its work when it was preoccupied with Committee meetings throughout most of the week. This must be looked at. The Chief Whip should look at the amount of time departments were called to account to Parliament. Members then think there was no plan when in fact management did not have a chance to implement the plan. The Chairperson said SCOPA is not privy to what is done in Portfolio Committees – programmes of the Portfolio Committees are approved by the House Chairperson, Mr C Frolick (ANC). It is not within the space of SCOPA to comment on this. Ms Mochotlhi confirmed there were secondments but she was not sure as to which ones were finalised. A number of personnel left with the Minister and some were permanent in their posts. The Chairperson asked if the acting DG was referring to the Department or Ministry. Ms Mochotlhi was referring to the Ministry. Ms Chiloane was asking about secondments in the Department – how many were there? Where did these secondments come from? As far as she understood, only DPSA could approve secondments. Is there a COO in the Department? She was referring to the Department, not the Ministry. Ms Mochotlhi responded that the COO is not a secondment – the COO was a CFO in the Department from 2013 to 2015. Thereafter she was seconded to a water board and then she returned to the Department as COO. The post of COO is in the approved 2014 structure. The DPSA then scrapped the position of COOs in departments but the post was already in the approved structure of the Department by this time. The Chairperson did not understand how the post could remain in the structure if the DPSA scrapped it. He has not heard of any other department besides DWS which has a COO. In the new proposed structure of the Department, the DPSA explained why such post is rejected. Ms Chiloane asked about the level in the structure for Chief Director: Security. Ms Mochotlhi indicated that Minister Nkwinti said he would address this question himself. The level of the post came with the interim organisational structure. The Chairperson said the post was also rejected by the DPSA. Ms Chiloane asked if the Acting DG has had site of the letter from the DPSA that the Chairperson was referring to. Ms Mochotlhi reiterated that yesterday when the letter was referred to, she had not seen it. She followed up and received the letter this morning. She has not yet had the chance to peruse it. Ms Chiloane asked if the Department had a Chief Director for Supply Chain Management. Ms Chiloane then asked if the individual was acting or permanent. Ms Mochotlhi answered that the individual is in an acting position. The previous permanent Chief Director was moved to Chief Director: Transformation. The Chairperson was interested in the rationale behind this and asked if the Chief Director for Transformation is filled by a permanent individual. Ms Mochotlhi explained the post of Chief Director: Transformation is permanently filled. The DDG: Corporate Services requested the transfer. The Chairperson asked if the position of Chief Director: Transformation was vacant before the transfer took place. Ms Chiloane thought there were some underlying factors – many things were happening in supply chain and this coincided with the transfer of the Chief Director for Supply Chain. It is unfortunate that this is the final day for interaction with the Department for the year because this matter could be further investigated to get to the underlying factors. The Member acknowledged this could be her own assumption but she felt there was something more to this transfer. Is the Chief Director for transformation present? Why is transformation required? What exactly would be transformed? Ms Mochotlhi replied that the transformation unit dated back prior to the 2014 structure. A number of indicators in the sector point to transformation in the Department not being as adequate as it could be. The transformation also makes input in the supply chain process to ensure BEE and representation of identified vulnerable groups. The transformation unit also deals with transformation of the water authorisation unit. The transformation falls within the ambit of corporate services – the DDG for Corporate Services is present. The Chairperson noted that he read an article on the access of emerging farmers to water licences – it is the responsibility of the Department to issue these licences. Ms Chiloane asked if the COO is present. The Chairperson highlighted there is no such position as COO – the correct and legal term for the position should be used. He reminded the Committee that in its interaction with the Department last year, Members heard of an official who was transferred to the Overberg Water Board – this official was the Department’s CFO. A new permanent CFO was then appointed to replace this official. The official subsequently returned to the Department as a DDG without any position. Ms Chiloane questioned processes around advertisement for a permanent DG or if a list of candidates has already been submitted to the President. Deputy Minister Tshwete responded that there was no advert because it is the end of the term. It is also difficult because after the election next year, there could be a new Minister and/or Deputy Minister. There would be a process of advertisement when the time comes. The Chairperson remarked that 24 years into democracy, government should be “cruising” when it comes to public administration and management. Elections had no effect on bureaucrats. In Belgium, it took six months to establish a coalition government but the country remained running – this should be the mindset. Mr Booi said the reality of the situation is that the Constitutional Court found Parliament to be failing in its duty – the pressure is on Parliament to hold officials accountable. Over a long time he observed there is a problem in the way in which politicians related to staff – many times staff were afraid of the Minister even though the directives compiled by the Ministers were problematic. There was also no engagement with staff. 12 directives were sent to Sedibeng. Progress would come through honest engagement with the Department. When the country is in trouble, everyone must play a role in rescuing it – officials cannot become absolved and allow themselves to be kicked around by the Minister because the Department would then find itself before SCOPA on the verge of collapse. The Minister then cannot be blamed. He did not understand how Ministers did not treat competent staff in a good way, especially women – the Member has observed and heard of a lot of unhappiness in the Department. It is hurtful to see young, learned women get sucked into corruption. Women are the future of the country. Everyone must reflect on the situation – it would help the Department if everyone discussed these matters frankly. Mr Booi said there is a problem in the power relations between the water entities and the Department – legislation in this regard is required. He was surprised this matter was not discussed with the Portfolio Committee on Water Affairs and Sanitation because legislation is the responsibility of the Committee – SCOPA only deals with fiduciary responsibilities. It is clear the audit committee is not doing its work – it is a “blompot” in the Department and this is why DWS is in a crisis – the audit committee is supposed to be guiding the DG. He did not see a document from the audit committee on matters it identified. It is the AG which has brought information on the Department to the Committee. Members were being misled in fighting and quibbling with the Department officials while the audit committee sat back and observed. The audit committee has not provided the Committee with any information on areas for improvement. The audit committee is like a KPMG – get the country into crisis and then disappear. The Chairperson clarified that a file of audit committee reports was handed to the Committee when the meeting started. Mr Booi said this is a joke – the role of the audit committee is to strengthen the organisation. Everyone is concerned by the crisis looming in DWS. Looking at the work done on the SA Social Security Agency (SASSA), the Committee worked with the entity for a long time to correct its fiduciary errors. The leadership and image of DWS must be improved. SCOPA was also helping local government in terms of challenges around paying electricity bills. It is not within the ambit of SCOPA to look at leadership – SCOPA deals with the Rands and Cents. Individual introspection is required. SCOPA would always be with the Department if it was compliant and followed the law – not if it was running an arrogant syndicate. People in rural areas demand water and government is judged on this – it is important to remember this with the looming election. Ms Khunou asked if Barbra Schreiner was still in the Department. Ms Mochotlhi said Barbra Schreiner has not been with the Department for a long time. She was DDG of Planning and Regulation. She resigned in 2010/12. Ms Khunou suggested the Department spend time with each and every water board to check what they are doing, projects they are busy with and suppliers being dealt with. It is a problem that there is no database in the Department for projects. She spoke about the escalation of costs to government. The Department made use of contractors but why did it not have its own fulltime engineers – government is bleeding. She was shocked by the revelations and names to come up in emails sent to Members by officials of DWS – she was perturbed to see the name of Kenneth Brown. The Committee must take these emails seriously. She was concerned by the level of frustration of staff in the Department highlighting the case of an aggrieved staff member of Parliament who not so long ago shot himself in his office on the precinct. Ms Khunou was concerned by double invoices and asked who checked these invoices. She understood that many of the problems took time to be fixed because top management is always before Parliament. The Chairperson qualified this to note departments that were always before Parliament were those not doing well. Ms Khunou noted that everything seemed to be escalated in the Department including flights and accommodation – this must be looked into. There was huge escalation of the budget for the War on Leaks project – there is still no value for money from this project. The project is a white elephant – what would be done with it? She urged the Department to work with DPSA and the School of Governance on the training project. If the Department did not oversee the water boards they would continue to initiate projects – this would create more problems and push the Department further into financial troubles. Ms Mochotlhi indicated there is branch at national that oversees all projects and invoices of the Department for infrastructure development. There are RBIG managers overseeing projects and invoices at provincial level. Unfortunately there is only one quantity surveyor focusing on major projects. One of the requests was for the water boards to also do contract reviews to look at projects which could be, one, set aside completely, two, those which could be delayed and, three, those projects that are a must. The War on Leaks project is being investigated internally, as the Minister instructed. Due to budgetary constraints, the Department has held off on outsourcing. The School of Governance does more management training. An exit strategy would be looked at to save money. With double payments, some recovery has been made – internal control measures would be put in place to ensure this does not reoccur. The Chief CIO has been engaged to ensure the IT unit lives up to its intention of supporting and assisting business of the Department. The travel contract of the Department expired and there were some problems with procurement. The Department was now piggybacking off other departments. National Treasury has been engaged to assist with this tender so the matter is receiving attention. The Chairperson stressed that the organogram of the Department must be in line with the law. The Department must look at the number of DDG positions and salaries vis-a-vis what was approved. He saw there were about seven DDGs. These matters must be sorted out in terms of new vs. approved structure. It is a pity that it is now the end of the year because the Committee would have liked further interaction with the Department until it was pleased the Department has turned a corner – these engagements have probably just scratched the surface. He hoped the Department now has a better appreciation of the approach of the Committee in that information should come from the acting DG and that she had the power to do this and not let herself be undermined by juniors. Many of the DDGs have been within the Department for many years so they were there when the rot started – people have created their own little systems which must be dismantled. Serving the people of the country must be the chief focus of the Department – the focus should not be serving Ministers because political leadership comes and goes. The Department must do what is right and lawful irrespective of whom the Minister is – one must always find oneself on the correct side of history with the people of the country to be used as a reference point. Ms Khunou noted the Committee did not tackle the matter of money borrowed from the Reserve Bank. Her message to those doing wrong was that the law would find them. She said the Department must look at the Public Audit Act as officials who have found to be “chowing” money unlawfully would be made to pay that money back. Deputy Minister Tshwete appreciated the advice of the Committee and approach of Members. The Department committed itself to doing things better and differently. Sometimes the staff became frustrated with the way they are treated – most of the time they are being suppressed by their superiors. The attitude of superiors when dealing with staff must be changed because when one is a superior, one is like a mother to everyone. It is known that juniors gossip about superiors – everyone does it, even amongst the politicians. This did not mean the superiors could go around demanding to know what people were saying about them – the more this is done, the more one lost integrity. Deputy Minister Tshwete said there are engineers in the Department – the engineering unit was found in the Department stemming from apartheid days so the transformation thereof must be monitored. There are a number of young hydraulic engineers who are frustrated that they are not given the chance to do the job – they need to be mentored. She appreciated the advice of the Committee regarding the internal audit which would be looked at. The Minister is looking at legislation which needs to be changed. The Department would address everything raised by the Committee. The Chairperson noted that he got a call last night that the students in the War on Leaks project in the Northern Cape did not receive their stipends – the students were frustrated and agitated. He asked that the Department attend to the situation.